THE CTC is promoting a greenway network in Birmingham including new links fro the University into the centre and to Kings Heath. Could be better than the canal. 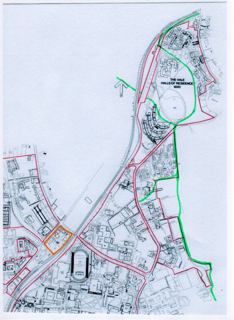 Unfortunately we only have a tiny map – the route is marked in green.